Goods and Services Tax (GST) is intended to bring transparency and accountability in business transactions along with the ease of doing business and rationalization in tax rates and will not pave the way for financialization of the country. The foremost benefit of GST is to remove hurdles in inter-State transactions resulting in the setting up of a common market. This make ‘one nation, one tax and one market’ true in the country.Further, in case of inter-State supply, only integrated tax is to be levied while in intra-State supplies, central tax and State tax or Union territory tax is to be levied. Thus, the plethora of taxes being levied by the Centre and the States in the erstwhile regime has been replaced by simpler and more efficient taxation system. 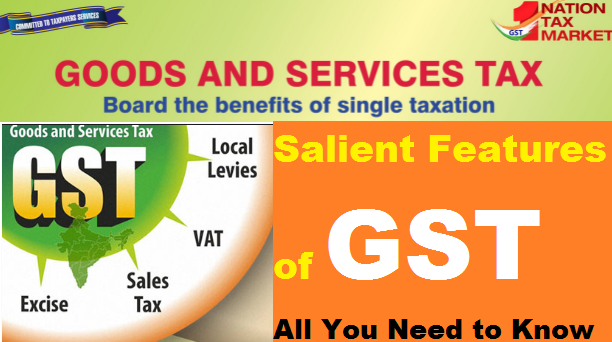 GST will promote business and development by making the taxation structure easy and by eliminating the numerous taxes. The GST laws have been framed in such a manner that a multitude of taxes have been replaced by one tax. The details of the taxes subsumed under GST are as under. viii. Central Surcharges and Cesses so far as they relate to supply of goods or services. ix. State Surcharges and Cesses so far as they relate to supply of goods or services. GST will improve productivity and easiness of business as the entire nation has been converted into a single market by removal of hurdles to inter-State trade. Further, uniform tax rates along with reduction in the cascading effect of taxation and increased input tax credit utilization in GST would immensely benefit the nation. There is automation of all major business processes viz., registration, payment of tax, return filing, etc. This was stated by Shri Santosh Kumar Gangwar, Minister of State for Finance in written reply to a question in Lok Sabha on28.07.2017.